If you are looking for a new cordless drill, you might want to check out the BLACK+DECKER GCO1200C Handheld Power Drill Review. For sure cordless drills are a convenience. And yes, corded ones might have more power and are more consistent than some handheld power drills. However, there is no denying the fact that not having to deal with power outlets and extension cords is a big bonus. Sure, they might not have as much power, but the convenience factor is definitely a big deal. There are lots of handheld power drills out there and not all of them are equal. Finding the right one can be quite the challenge. The BLACK+DECKER GCO1200C Cordless Drill is a fairly new model from this brand name. It has been out for quite a few months now, but when looking at the big picture, it is pretty new and modern. There is also the fact that this drill is relatively inexpensive as far as cordless drills go. That being said, even though it is fairly inexpensive, it is still a really good drill with more than enough power for most jobs. It’s not a particularly fancy drill, or one with all that many features, but it certainly gets the job done. In terms of who the BLACK+DECKER GCO1200C Cordless Drill is ideal for, we would say that it is ideal for pretty much anyone who needs to do any drilling and screwing. It makes for a good option for handymen and carpenters that are always on the go. It is classed as a general all purpose power drill, while it may not be the best drill for some tasks it does serve as a great power tool for the homeowner. The battery pack is useful when on job-sites because you don’t always have to go looking for electrical outlets that might not even be operational due to construction. It is certainly a good idea to have a backup battery pack in case power runs out during the middle of a job. At any rate, we think that the BLACK+DECKER GCO1200C Cordless Drill is fine for most basic drilling and screwing needs. In terms of what you get in the box when you buy the BLACK+DECKER GCO1200C Cordless Drill, there is really not much to be said. In the package, you get the drill, the battery pack, the charger for the battery, and a double-ended bit. Other than that, there is nothing that comes with this drill when you buy it. The BLACK+DECKER GCO1200C Cordless Drill does have a few features that we really like. First and foremost, we love the fact that it is cordless. We hate having to deal with extension cords and wall plugs, so this is really nifty. There is also the fact that this cordless drill has quite a good battery life. As far as cordless drills are concerned, the BLACK+DECKER GCO1200C Cordless Drill does not need long to fully charge and it can last for quite some time on a full charge, both beneficial aspects. On that same note, the battery is a slide battery, so you just have to slide it into the battery connect to get it working. Furthermore, the BLACK+DECKER GCO1200C Cordless Drill can handle a wide variety of bits, making it quite versatile. At the same time, the keyless chuck included here is really easy to use. You don’t need a key and it only takes a few seconds to change bits, which is always nice. We do also like the 24 position clutch because it prevents screws and bits from stripping, a problem that many other drills still seem to have. The BLACK+DECKER GCO1200C Cordless Drill has a variable speed feature so you can choose the speed that best fits your needs. This drill actually has quite a bit of power and can turn at 750 RPM, which is fairly impressive as far as cordless drills go. All in all, we think that the BLACK+DECKER GCO1200C Cordless Handheld Power Drill is a good choice for a fairly wide variety of applications. It might not be the fanciest drill around, but it is certainly durable and convenient. On a side note, this drill is pretty big and bulky, which is something that might make a difference when it comes time to make a purchase. Just like all other handheld power drills out there, the BLACK+DECKER GCO1200C Cordless Drill is not very hard to get the hang of. The keyless chuck makes changing bits as easy as can humanly be. Charging and inserting the battery is very basic and straightforward. Also, when you have the right bit for the job, to drill or screw in a screw, all you need to do is press the variable speed trigger to achieve the RPM of your choosing. As far as power drills go, the BLACK+DECKER GCO1200C Cordless Drill is about as easy to use as possible. If you would like to look at an alternative, we would recommend taking a closer look at the SKIL 6335-02 Corded Drill. This particular handheld power drill, as the name implies, is a corded one. This means that you need to be near a power outlet to use it, but on the other hand, you never have to worry about the batteries dying. 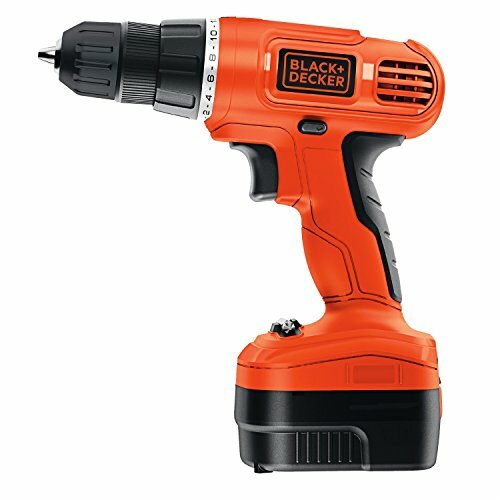 At the same time, it also has quite a bit more power and a higher RPM than the BLACK+DECKER GCO1200C Cordless Drill. The SKIL also has a good secondary handle which allows for really accurate drilling. 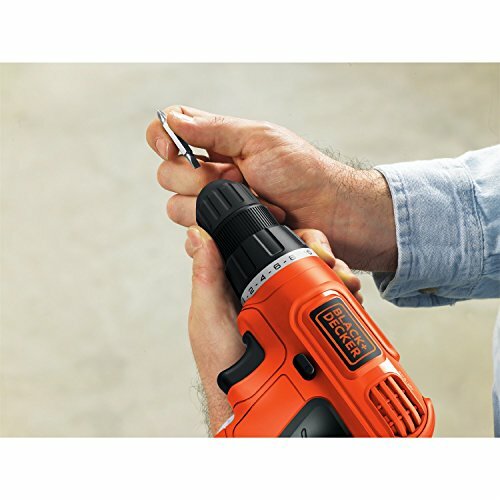 All in all, the BLACK+DECKER GCO1200C Cordless Handheld Power Drill is a really nice drill to have in your tool chest. It’s cordless, so it is convenient, and yet it still manages to have quite a bit of power. As far as power drills go, this one packs quite the punch for the fairly low price which it comes in at.